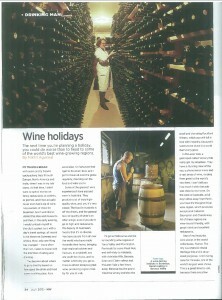 Article featured in Mans World Magazine by Sommelier Nikhil Agarwal. My travels started with some pretty bizarre backpacking trips through Europe, North America and India when I was in my late teens. At that time I didn’t want to spend money on fancy restaurants, or clothes or gizmos and had actually never even had a sip of wine. I ate packets of chips for breakfast, lunch and sometimes-even dinner, visited the sites and museums I wanted to visit and then in the early eveningsI would unleash myself at the city’s coolest bars with a day’s travel savings all meant to be blown on Guinness and whisky – that too in some pretty impressive quantities, if I do say so myself. Now only one thing has changed – I eat well while there is still a lot consumed! 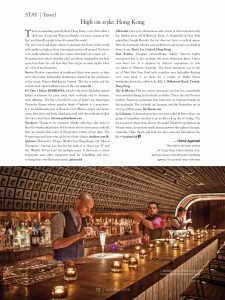 I now seem to travel more often that not with the intention ofeating and drinking and the decision on where to go is directly based on how good the drink and food scene is. As a Sommelier,I’m fortunate that I do what I do and it’sbecause of what I do what I that I get to travel all over the globe regularly, scoping out the food and wines scenes. Some of the greatest wine experiences I have enjoyed are in Australia. For one they produce a lot of truly high quality wine and yet it’s all very casual. The food in Australia is off the charts and the general level of quality of what’s on offer is very high even if you don’t go to the top end restaurants. The beauty about Australia when it comes to food is that it’s just so diverse. You have people from all over the world who have made Australia their home bringing with them their own regional cuisines and flavours. In a nutshell you are spoilt for choice and no matter which city you go to there is almost always a great wine producing region close by for you to visit. I’d go to Melbourne and the surrounding wine regions of Yarra Valley and Mornington Peninsulafor some Pinot Noir and definitely to Adelaide with Adelaide Hills, Barossa Valley, Eden and Claire Valley and McLaren Vale a few hours away. Barossa has the grand Yalumba winery and also the small and charming Rockford Winery, which you will fall in love with instantly because it seems to be stuck in a world that is long gone. In McLaren Vale a gastropub called Victory Pub really got my attention. They have a stunning view of the sea, a phenomenal menu and a vast array of wine ranging from great to the worlds very best and most sought after. Drink a couple of pints early evening and then move on to the food and wine. I can’t tell you enough how I wish that pub were close to my home.On the west of Australia, a full day drive away from Perth you have the Margaret River wine region which producers exceptional Cabernet Sauvignon and Chardonnay. 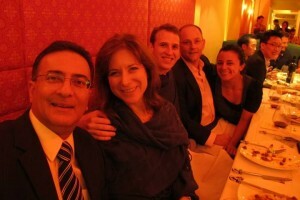 All of these regions are very wine tourist friendly with great hotels and excellent restaurants. One of my favourite wine places in the world would have to be Bordeaux in France. The city is a UNESCO World Heritage site and as you would imagine is drop dead gorgeous. 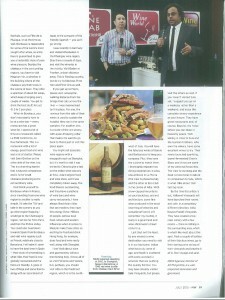 I go during the month of June for Vinexpo, one of the world’s largest wine shows. This is a great time to visit because they are a few festivals like Fete de la music on at the time as well. Bordeaux is responsible for some of the worlds most sought after wines, a trip here and the surrounding area is guaranteed to give you a hedonistic dose of pure wine pleasure. Besides the Chateaux in the surrounding regions you have to visit Magnum Vin a wine bar in the building where all the chateaux pay their taxes in the centre of town.They offer a selection of about 30 wines, which keep changing every couple of weeks. 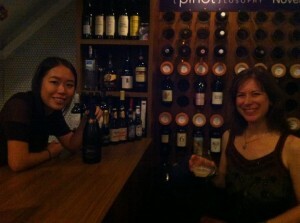 You get to drink the very best at Euro 1.50 to 3 a glass! When in Bordeaux you don’t necessarily have to be at a wine bar, just about any restaurant has a great wine list. I landed up spending a lot of my time at a restaurant called Le Petite Commerce on Rue Du Parliament. This is a restaurant with a lot of energy, great food and a lot of chatter. The wines are great, reasonably priced and the food is great. Please visit Saint Emilion on the other side of the river. A charming hamletthat is beyond comparison and is full of small Chateaux producing some of the world’s best.Walk around, stop and sip on some wine, walk around, stop and sip on some more wine, you get the idea. Don’t limit yourself to Bordeaux when in France. Travelling from one wine region to another is really simple. I’d take the TGV and take in the scenery as you go wine region hopping. I would go to the Champagne region, not too far from Paris and then the Rhone Valley personally. You could head down towards Spain from Bordeaux and visit wine regions like Priorate, relatively close to Barcelona. I will admit that I seem to have the very best times in Spain, their style of wine making is what I like, their food is now globally renowned and the folks are friendly. A glass or two of Rioja and some Iberico along with an assortment of tapas in the company of the friendly Spanish, how can you go wrong! I was recently in in Germany and visited Weisbaden in the Rhienghauwine region. Stay there a couple of days and visit the wineries in the nearby distance. Visit Baden or Franken a short distance away. This is Riesling country but do try their fabulous Pinot Noir and Pinot Gris. If you get up to Mainz please visit Juliusspital, a winery in the heart of Mainz, walking distance from the bridge that cuts across the river, very Prague Charles bridge like. I was mesmerized by this place. For one, the revenue from the sale of their wines is used tosustain the hospital they run in the same complex. This is a state of the art winery with ajaw-dropping cellar that makes me want to go back to Mainz just to visit this place again. 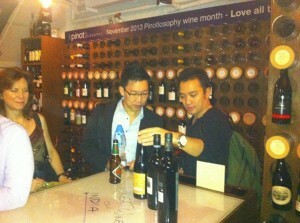 Now you might not associate wine regions with a mega polis like Shanghai but it is worth a visit. I was invited to China to give a talk at SIAL, Asia’s largest food and wine showin Shanghai on the Indian wine industry recently and was completely blown away. For one the food, I’d probably go as far as to say their cuisine is probably one of my favourites and then to have a plethora of wine bars and wine savvy restaurants to go along with the food is fantastic. I have always liked Asian cities that are modern; they have this energy that I love. Millions of people, serious local food culture and western influences when it comes to lifestyle make these cities so exciting when it comes to food and drink. 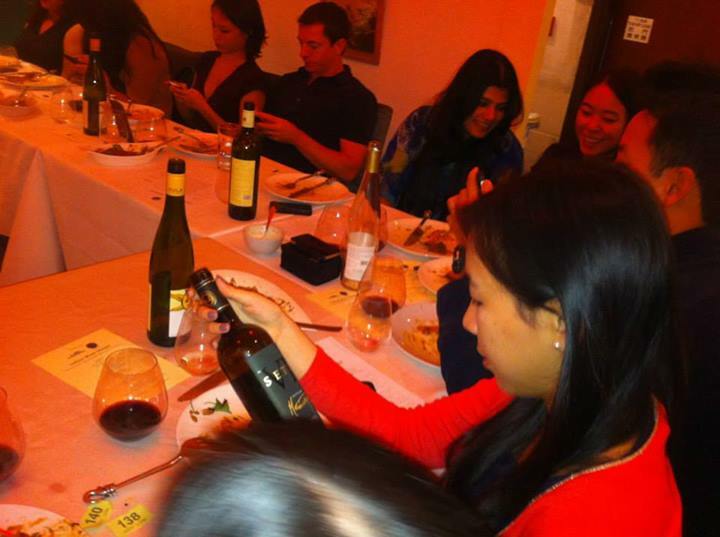 Hong Kong for example does food and wine so well along with Shanghai. We can’t talk about wine and gastronomy and not pay a visit to Italy. I know all of us visit Florence and Venice etc but perhaps you should visit Alba in the Piedmonte region which is in the north west of Italy. For one you will have the fabulous wines of Barolo and Barbaresco to keep you company. Two, they can’t have some of the worlds best wines and not the cuisine to match them. I thoroughly enjoyed two dining experiences in Alba, one at Bovio in La Morra, the view is phenomenal and the other at Eno Club in the centre of Alba. With snow capped mountains as your backdrop, ancient architecture, some very fine wine produced in the most charming of wineries and food (I still remember my risotto), truffles, it really is a gourmands and wine aficionados dream come true. Last but not least by any means a wine destination you need to go to is in our very own backyard. Indian wine has truly come of age and Nasik is scattered with some wonderful wineries that are pushing the quality frontier. A large number of you may have already visited Sula Vineyards, but please visit the others as well. If you have not visited Sula yet, I suggest you go on a weekday rather than a weekend and enjoy this complete winery experience at your leisure. They have great restaurants and of course Beyond their hotel where you can sleep in heavenly peace. York winery is close to Sula and the Gurnani brothers that own the winery and run the show have got some excellent wines for you try. Their newly launched sparkling, barrel fermented Chenin Blanc and Arros are some of my personal favourites. The view is stunning and the food is more local in nature in comparison to Sula, which is what I really like about their tasting room. 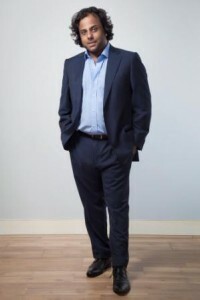 By the time this article is out Vallonné Vineyards will have launched their rooms and café. Vallonné is pretty close to Grover Zampa so you could visit there as well. In a completely different direction, Akluj houses Fratelli Vineyards. They have created a top class winery with a few rooms. There is nothing in the surrounding area, which is what I like most about this spot. Pack a couple of bottles of their fabulous wines, go to their tasting point on top of their vineyards and breathe it all in. As for me – the next stop is Sicily! Perhaps you may hear some more of my fine food, drink and travel adventures but till then bon voyage and salute! 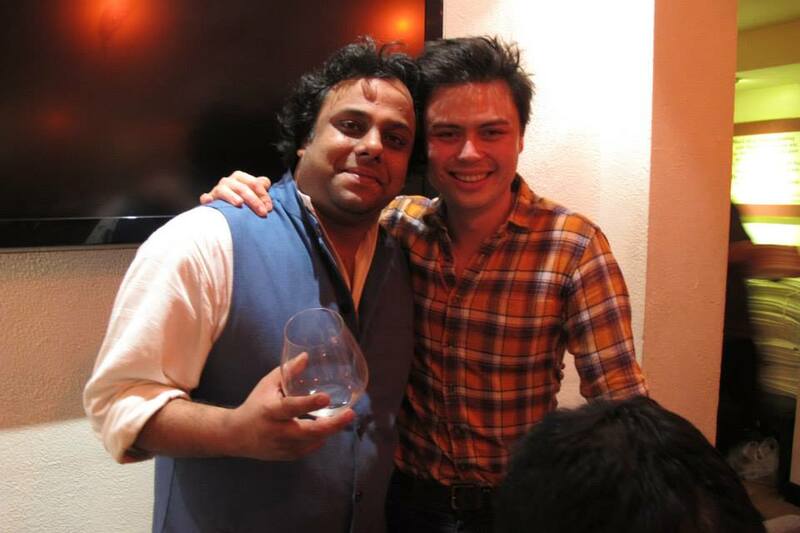 Nikhil Agarwal, Sommelier and Director of All Things Nice took 6 Indian wineries and 7 different Indian wines to Hong Kong. The tasting and dinner was done in collaboration with The Flying Winemaker – Eddie McDougal . The Flying Wine Maker is a wine store and bar in Hong Kong and has been voted as the top 10 places for purchasing wine in Hong Kong. The wines showcased were Sula Vineyards Riesling, Grover Zampa Vineyards Soiree Brut and Viognier, Vallonne Vineyards Rose, Fratelli Vineyards Sette, Charosa Wineries Tempranillo and Myra Vineyards Shiraz. There were 30 people in attendance most of whom had never had tried Indian wine before. 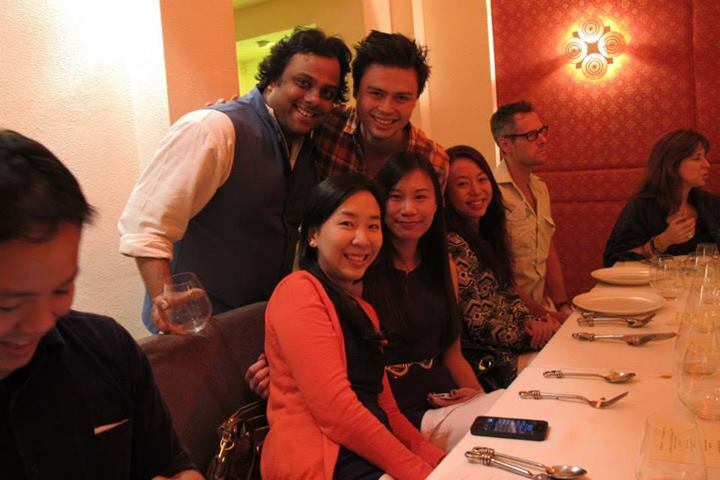 The wine dinner took place on November 11th at The Flying Wine Maker and then moved to Ganga an Indian restaurant in Lan Kwai Fong in Hong Kong. The wines were paired with a 5 course Indian menu showcasing Indian dishes like Biryani, Mutton Massala, Dal Makhani, Paneer Tikka and King Prawns. 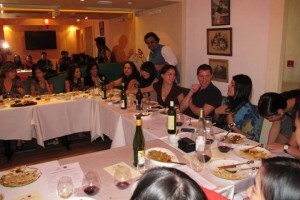 This was the first time ever than a wine dinner showcasing various brands of Indian wine was organised internationally. 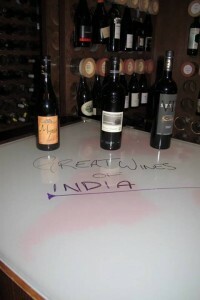 This was done to showcase not any one particular Indian wine but the Indian wine industry as a whole. Images along with videos of feed back from the guests at the event. The videos are testament to the event itself.